The time to start making multiples bets is close! 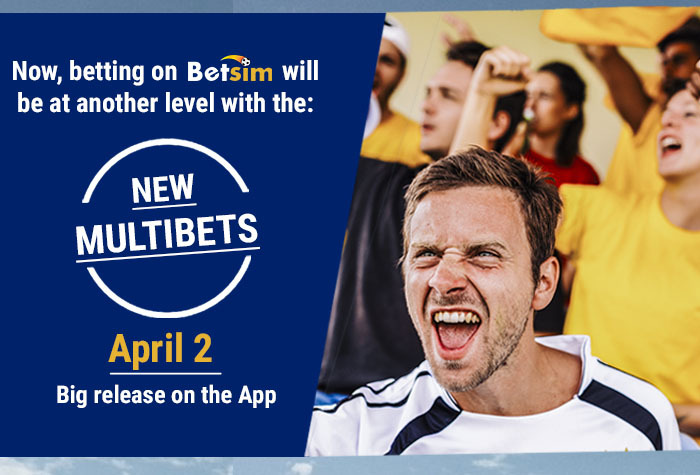 Because we know that, sometimes, simple things are not enough at the time of betting, since April 2 you will be able to make multiples bets on Betsim the way you want and with the events you want. How will this functionality work on the app? After you select a bet from any event, a bar with a “single bet” will be selected by default but only with a click you will be able to switch it to a “multiple bet” and it will be possible to add as many bets as you want from any other event you choose up to a maximum of 15 bets in your list, and of course all the odds will be multiplied each other and therefore your winnings too!